Hello! This past Friday I watched the movie called “Pollock” with Ed Harris. 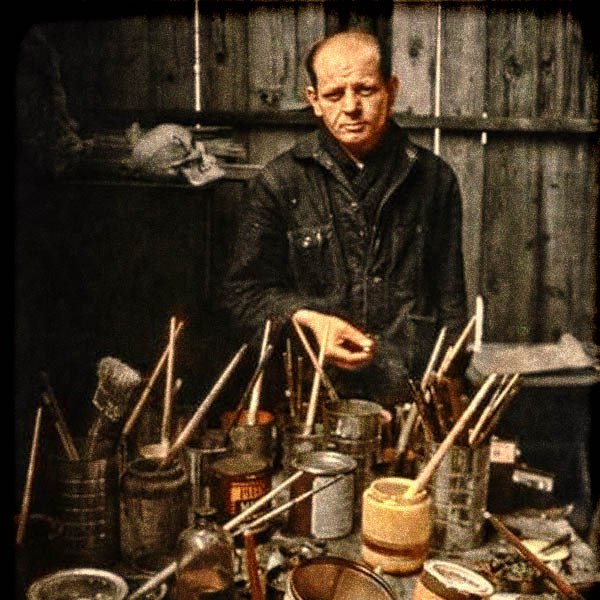 I didn’t really know anything at all about Jackson Pollock, but it appears he suffered from depression and alcoholism which in the past I could relate from myself. However, at that time in my life I was not in the process of becoming an artist. And fame has never been a goal of mine either. He was living in quite a different time, though, and was driven to come up with something “original” which he certainly did. What I liked about the film is the way Ed Harris thoroughly researched the man he was to play. The film was starred in and directed by him, because it was his idea, his project, and he didn’t want to have to try and direct someone else to play a person he felt he “knew.” He had read about him, researched him, watched films of him working on his pieces, etc. I think he made the right choice. I love Ed Harris in everything I’ve ever seen him in, and in the extras on the movie, it showed the real film of Jackson Pollock showing the world how he did his paintings. Ed Harris definitely studied his subject and brought him back to life so to speak. 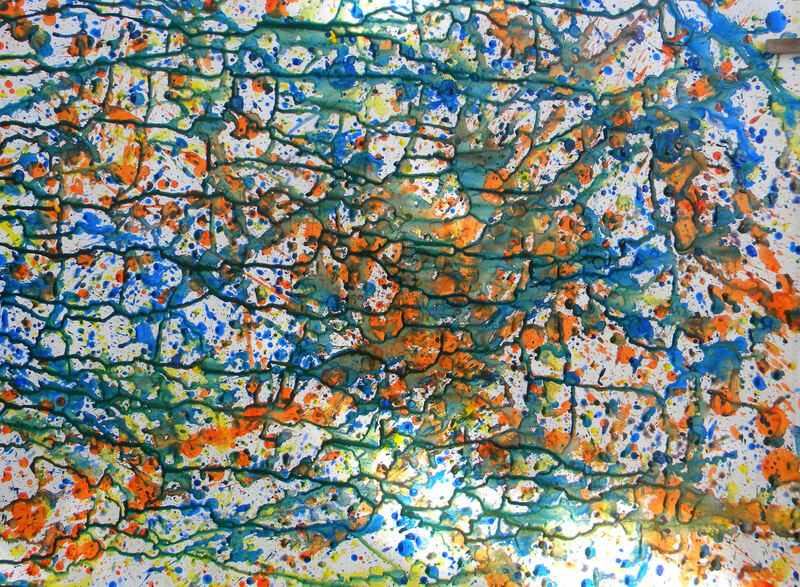 So of course after I saw this, I grabbed some acrylic paints, much smaller paper than Pollock used, and went outside after watering down the paints. I only chose a couple of colors: blue, orange, and yellow. I liked the way the yellow and blue became a nice shade of green when they melded together on the paper. This was something fun and different to do, and I would encourage any artist to watch the film if you’ve never seen it, try the process and just see what happens! I am still reading a great deal about Vincent van Gogh, but have only attempted to do one painting where I tried to depict him looking out from a boat dock onto the ocean he may have seen. However, I need to re-do it, because of some proportion problems I saw afterwards. What a story that man’s life was! Posted on June 1, 2015, in Art Talk and tagged art, Jackson Pollock, Margaret Keane, Vincent Van Gogh. Bookmark the permalink. Leave a comment.